I had seen pictures and even videos of The Bay of Islands in New Zealand, and I had done quite some reading about the area but nothing compares to the real life version. 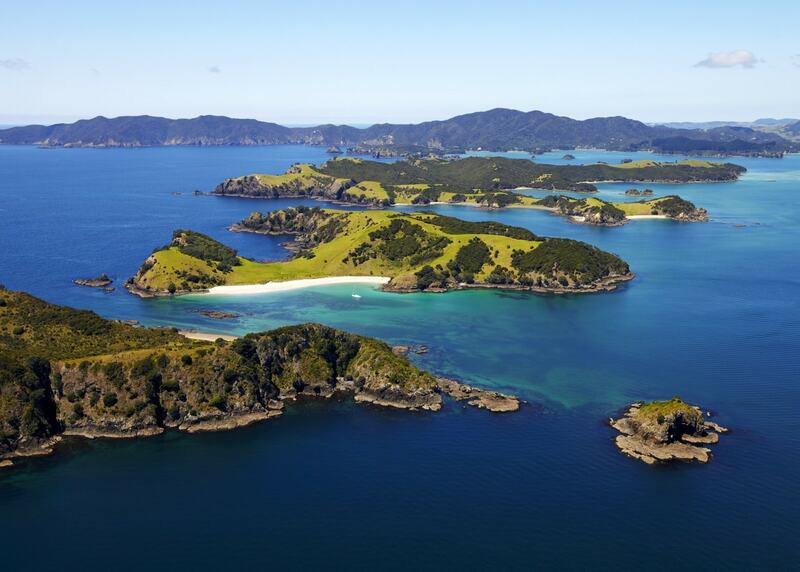 The Bay of Islands is a group of islands dotting a large Bay area. Some of them are inhabited, albeit with very few people, others are completely deserted and most have been declared as Reserves or Parks. Most people come to the area to sail, fish, visit some hidden islands, kayak, go on dolphin cruises or, for the more adventurous, jump on a jet ski, a banana boat of sorts that will make your breakfast spin or even dive. The town of Paihia is the right place to base yourself and explore the area. With limited time, I had my eyes set on an helicopter tour with Salt Air, a locally based helicopter company founded by Grant in the early 90s. The care and love of the team is not the usual affair you find in commercial outlets. Most of the Bay of Islands is ran by locals who have had their businesses for a long time and Salt Air prides itself in providing a personalized service. I certainly feel like I am among friends when fluffy Tyler, the pilot’s dog, jumps off the helicopter upon landing at the helipad early in the morning ready for a day off flying. Chatting to Michelle, the Marketing and Sales Manager, about their years in business you can quickly tell the passion they have for showing visitors the beauty of this part of the country. I always like finding out what extravagant or romantic requests they’ve had and, in this case, it is only logical that helicopters are a favorite way for men to pop the question. Since they started running the helicopter tours to The Hole in the Rock they’ve had quite a few inquiries to take couples up there for that unique experience. Salt Air started landing on this important island in 2013 and, contrary to other local tour companies taking guests on boat tours through the large hole, they have always been in good terms with the local Maori groups and the Motu Kōkako Ahuwhenua Trust in charge of its conservation. Salt Air contributes to conservation studies of Motu Kokako, the Maori name for the island, which, from a bio-diversity point of view, is considered the most important island in the Bay with over 90 species of plants and no predators. 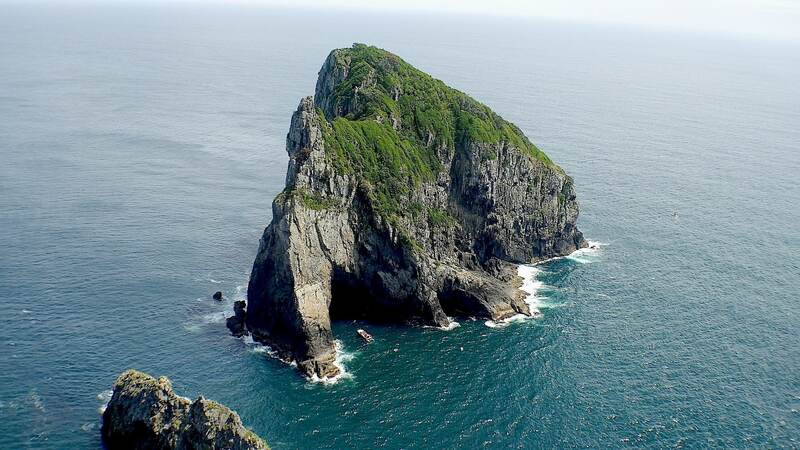 The Hole in the Rock, or Piercy Island as Captain Cook called it, is obviously a huge rock with a hole big enough for a boat or even the helicopter to pass through, our pilot points out. Wouldn’t it be cool to try that out? Actually, this would probably be a careless act disregarding the beliefs and traditions of the Ngapuhi, for whom the rock is a very important symbol. Michelle explains to me that the island’s name evolved from the Kokako bird whose feather were priced by the Ngapuhi warriors. In the past, young male warriors would journey to Motu Kōkako and climb its steep cliffs to gather Kokako feathers for their Korowai (feathered cloak). Sean, our pilot, promises he has seen some of these birds in one of the tours. 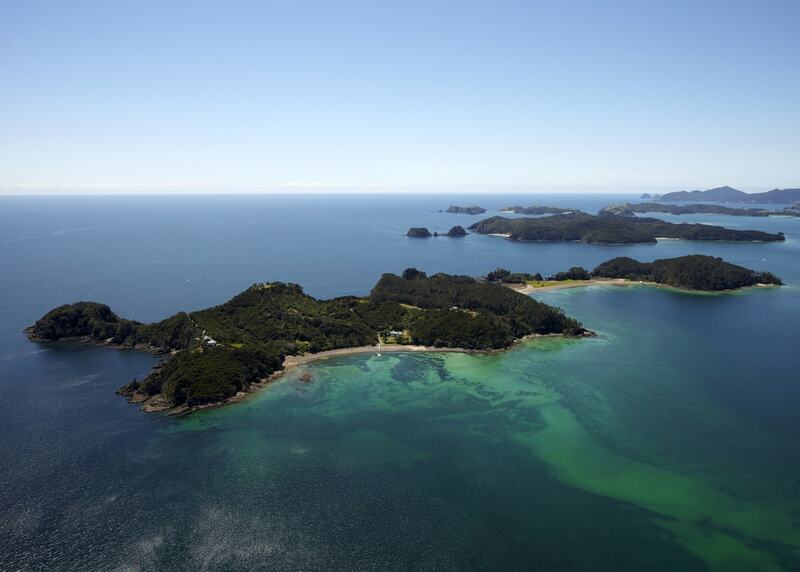 Flying over The Bay of Islands is a constant stream of “wow” and “awe”. I watch the water flow as we move up above in the air and Sean shares anecdotes and local knowledge. He points at the main islands, reciting their names, and highlights those, which have houses on them. Some are simply the residence of the rich with their own pier and speedboat, as if it came with the package. Other islands still show the remnants of the old whaling stations. Here and there sailing or motorboats dot the ocean as if they have been scattered by a kid. From up above they seem tiny and could made of papier mache. Kiwis really like being in the water, surfing, fishing, sailing or simply frolicking. It must be because they are, after all, islanders. The sun is shinning bright and, as it reflects on the water, I can’t help but wonder what it would be like to live on one of these mansions, on a beautiful yet isolated island in a stunning yet absolutely isolated country. Would it be soul-healing or maddening to be so far away from civilization and pure noise? As my mind wanders I look out the window and see a group of, no-doubt, tourists taking photos of us from the ferry. We are landing back in town. Time flies when you enjoy yourself! 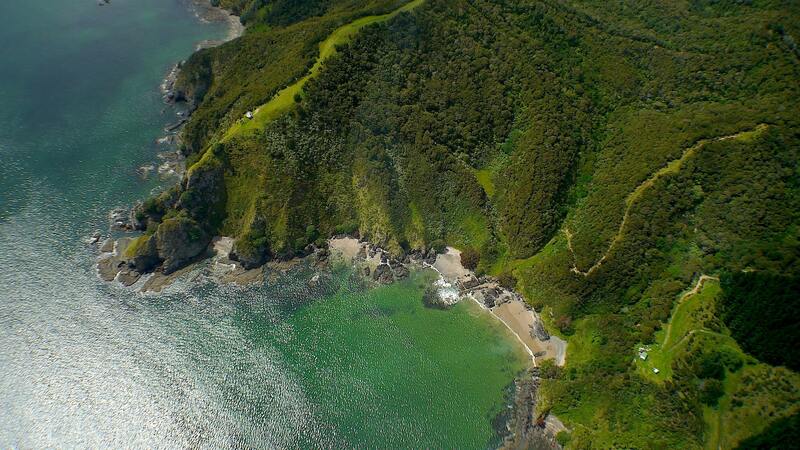 Apart from the tour of the Bay of Islands, Salt Air also offers helicopter and light aircraft trips up north, to Reinga Cape, where a van takes guests on a land tour of the area. This seems like the best way to venture up to the Northern most tip of the country and, judging by the photos, it must be another breath-taking journey.